Many people think about this question that How to Get Google Adsense Approval For Blog/Website. You also think about this? Then you will definitely get your answer here. | Getting Google Adsense approval is very easy just follow steps below to get Google Adsense Approval in 6 Months. This Blog www.bloogism.com got approval in 6 months, below are the steps t get Google Adsense approval for your Blog. Recently, We talked about THE 10 KEYS TO HIT WHEN BUYING A LAPTOP, I hope you like it. So today we are going to Reveal some secrets to Approve your Website on Google Adsense Ads Network. First Subscribe to our Website with Email to get New Secrets Directly into your inbox. You can also get on Facebook, Twitter, and Pinterest. Many people think about this question that How to Get Google Adsense Approval For Blog/Website. You also think about this? Then you will definitely get your answer here. Getting Google Adsense approval is very easy just follow steps below to get Google Adsense Approval in 6 Months. 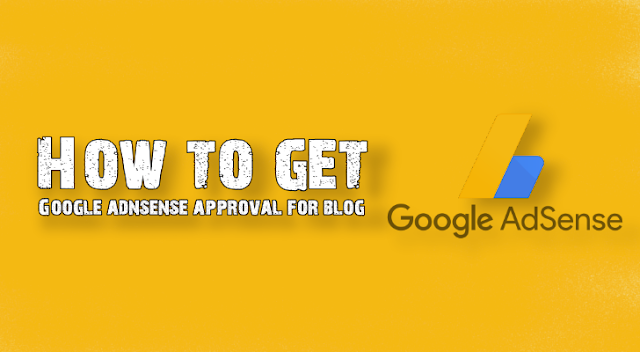 This Blog www.bloogism.com got approval in 6 months, below are the steps to get Google Adsense approval for your Blog. As the custom domain is not must to have, Before writing this article I go through some of the blogs which do not have a custom domain. If you can buy a domain, you have high marks to get Adsense approval Quickly. As talking about content, I would say "Content is King" So, now you know that if the content is king then you know what you have to do. Hacking or Cracking Tutorials are not Acceptable. A theme makes your website design beautiful, whenever visitors come to your site it will be pleased with a good interface and easy scrolling. You should choose a theme on these bases. Before choosing a theme check all of these things are available in that theme. Before applying for Google Adsense check these pages carefully. These pages will help you a lot to get Google Adsense Approval Quickly. Applying for Google Adsense..? First, know how much you have traffic on your Website, to gain traffic on your website Read this Article. You should have a minimum of 50 visitors/daily on a blog. At last, I hope now you know the tips to get Adsense approval for the first attempt because this blog gets approval in the first attempt to following these tips. At the end! I would like to raise the Question "How much you like this article?" Tell us below in the comment section.